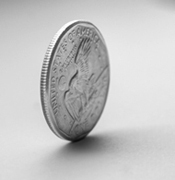 Imagine looking at the ridged lines on the edge of a quarter. Connect the top of two lines, and the bottom of the next lines to make a single continuous wave. focus your eyes on that stream as in weaves from one line to the next. This is a representation of what stars do around a galaxy generating a predictable motion of the electrons within it. Now imagine that quarter between your fingers and spin it while flicking it into the air. As it tumbles, focus again and trace the quarter’s edge with your eyes. The electron is an electromagnetic massive object weaving between those ridges on the edge of a quarter, with the center being the nucleus. For generations, we wouldn’t know the exact tilts of the quarter system because of the speed of the electron laughing at our best instruments. The idea of this math is that if you can see a predictable flow of electrons, say around a galaxy, then reduce the same equation to the structure of an atom, you would still have an equation to recognize the motion of an electron within its cloud around the nucleus. Now take out the nucleus altogether, and reduce the cloud radius to zero, leaving nothing but the electron at your center point; the pitch and tilt and weaving would remain as the various rolling angles within the electron itself. It would be an electron mapped rotating on each of six or more axes. The vigorous angular momentum of the free electron would be realized before the instruments fast enough to measure it by itself–done so by a frozen looking mess through an enormous telescope. The quarter (or galaxy) is one end of an accordion. The other end is the observer, a satellite somewhere in space at two different times (two eyes). Since a line between your eyes is difficult to draw in free space where everything is moving, this observer side of the accordion focuses on nearby fixed, or nearly fixed objects to develop a tripod. The angle between, gravity and object galaxy, the angle from the satellite–between earth and the sun, and the angle between the sun and the center of the galaxy, all change with respect to each other and as the observer travels by them through free space. This is the second end of the accordion. 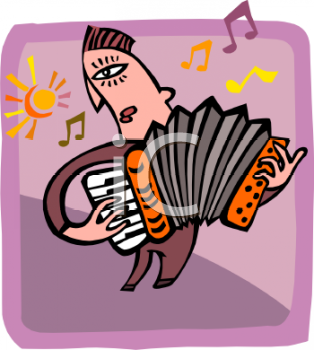 The length of that accordion is complicated by the galactic mess. Imagine a hula hoop with ball bearings rattling inside. 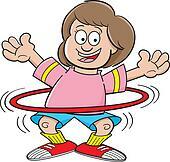 As you spin the hula around your hips, the force felt represents the activity of stars in the system (galaxy). As you go faster, or add ball bearings, the centripetal force (activity) increases. The same electrons that bind the galaxy also trigger the nuclear reactions; so as discussed in the book, a new coordinate system (like x,y,z) emerges in deep space. The apparent size of a galaxy verses its distance verses the activity (flow) of electrons, generate a set of axes in a grid. Comparing those three elements to each other; the size multiplied by the through flow corresponds to energy, which is at a distance. How is this possible? It’s all in the spectrum. After explosions as visible light, ultraviolet rays represent the acceleration of hot protons escaping the star from the electric field. Radio waves around the star represent the velocity of those protons, indicating the strength of the magnetic field. Like a wake behind a boat’s propeller, the electromagnetic waves from the most distant galaxies (propelling energy away) continue on even as they are received by satellites around Earth. Radio waves also represent the speed of the electron flow, while x-rays are the size of the electron flow. This flow exactly depicts the strength, motion, and thirst of the stars within a galaxy as they generate energy, since electron flow depends on the star’s strength, motion, and thirst for combustion. The thirst of the stars for electrons (combustion) is also represented by brightness in the visible spectrum, so comparing the visible spectrum (combustion), to the UV rays (electric field acceleration), to the radio and x-rays (resultant electron flow), actual radius of a galaxy can be determined for any orientation. This is free energy, a constant flow of electrons with no extra work after these things build up a motion. Oil and fracking is a complete waste of energy. The only thing that keeps us drilling is that scarcity of energy is profitable; and that this work remained unrealized as the planet approached its awakening. Orientation is visual. But based on it, one can compare the difference in shift from one side to the other to give the velocity of the stars as they revolve around a galaxy. All of these signatures elongate with distance, and all of them vibrate at different wavelengths (speeds), showing that the speed of light is no constant and crushing Einstein’s constructs. These components equate physical energy to the energy spectrum received in electromagnetic waves. How will we know it’s wrong if we never look? How? Imagine a jet plane, that can raise or lower the nose (pitch), twist along that pitch axis (roll), or strafe right and left from the two other axes (yaw). Pick a point on that plane. Now as you observe that point as the plane is doing acrobatics, the line changes in length like the accordion analogy. Now if you draw a point somewhere off of that point, that represents the electromagnetic field at angles and distance from the target point. This makes things easy because the electromagnetic field around a standard sphere is a straightforward set of equations of those very angles and radii. Your new point off of the plane is the field. But we’re still looking for distance, because what we receive depends on how far we are from the new point. To avoid assumption of what the shift in the electromagnetic spectrum means, we have to work with the raw data and leave distance as a variable until it’s understood for sure. One problem is when determining the electromagnetic field to compare to the observed spectrum line received, there is a line which has the same reception but with many different angles of validity from the center of the plane. That line is the exact line of your sight as you look at the object. So roll, pitch and yaw have several locations at varying radii, at whose location’s fields are collectively a composite of the received line–the line at which you are directing your vision. A triangle is formed between the line of sight, and the point generating the energy, and as the line grows in length, the angles on either end shrink, but never reach a final number. This phenomenon happens to humans all the time. When we look at the stars, and try to focus on one particular star, it becomes blurry, but if we look just next to it, it becomes clearer. That’s because straight on is difficult to sort, and the problem with distance. Worse, as those angles change along a line, the accuracy diminishes as you never reach the angle at an infinitely long line. To resolve this, we have to be moving ourselves, shifting our heads, or travelling in orbit while we narrow in on the target object. Pick a point between your eye and the electromagnetic field surrounding or throughout the object. That point is dark, but what’s behind it is the composite of all the fields along it emerging from celestial artwork. So what you observe is, say, one of the plane’s wings. As you move yourself, and try to refer back to that midway point, you’re now looking at the hull. So at some point on the first look (at the wing) and at a second look, the two receptions have an equality. Your two eyes are two different points of observation in a given period of time. Looking along towards the object end; the line integration of this accordion-like varying distance between the observer and the object of preposition (target), should compare to the actual line received by instruments as you switch between eyes. It should, by expecting the received electromagnetic electromassive fields at varying mathematical lengths. The line received should at the very least include these in any equation attempting to describe it. The trick is getting there. Comparing the hull to the wing and setting them equal to each other, you would find the conditions by which every point between you and the object has an electromagnetic field observed. This would clean up the code and allow the observer to triangulate by reviving a sort of parallax, a narrow-scale measuring technique first popularized more than 23 centuries ago–but abandoned for other scales–and bolstering it to aid in calculating distances at any scale. By comparing those fields to the received spectrum along the same line, you would determine all unknowns–the first ones simultaneously being distance, flow of electricity, and radius for all sizes and speeds of component mass and charge–in other words, perpetual energy. Now, it would allow us to take any received line, and know its components of elements and the structure by which they exist in the thing at which you are looking–and everything between it and your eye–whether it’s a virus, plant, or electrically sensed intruder in the human body; and develop a picture of lock and key to filter out the tumult. As you go through free space, the observer can refocus on the most reliably stationary tripod nearby, switching from one nearly fixed point to another like Tarzan from rope vine to rope vine while travelling through the jungle. Light speed is no limit. This scratches the surface to understand how. We’ve discussed a system to define electromagnetic structure at the source, known as polar coordinates from an observer. As the plane pitches upward, the x,y,z axes associated with it tilt and roll as well. This coordinate system can be used to draw any atom as it is rolling around free space. Where do we find this super curve? The slice inside the pyramid is the beginning of structure for an object. It’s a portion of the plane the lines up with the rolling coordinate axes. The line to the slice is solved in terms of aperture of the eye, estimated pitch, roll, and yaw of whatever structure is built as it changes in time; also in terms of distance (d) to the center, from your starting point (A). That’s the good news. Different time dependent orientations represent different elements in the periodic table of the elements from chemistry. It’s a guess that this compares to a chemistry phase diagram, where the area inside the pyramid above and below the cross-section represent the different phases, solid, liquid, gas, that the element can possibly experience. The thickness of the cross-section is its stability at the ambient phase. Now, consider what is actually received. As the atom rolls around, the light is given off and expanding outward as the electrons bounce in and out, forward and backward at various trajectories in the electron cloud. The coding emitted is coming in lighted blobs at distance intervals, so fast that all we pick up is the distances between blobs in a constant beam. This is what is coming at us through the machines measurements. Now we have structure to compare to the structure of the atom. What CAN we see? A machine called a spectrometer focuses at your object and picks up light coming off of it in various wavelengths. The light emitted is identified as the atomic emission spectrum, unique for each element in the periodic table. they are on top of each other. The intensities for each wavelength remain and the pattern repeats, first the longer wavelengths at their intensity, and then the shorter wavelengths on top of it at their intensity. Now we have a workable line. Most writing equations of a curved line is done integrating derivatives known to be zero at each turning point. So when a squiggly line goes from turning up to turning down, the equation at the inflection point is found by integrating a zero second derivative. Engineering is so obsessed with derivatives, trying to describe faster and faster turns; they didn’t learn a slightly different way to perform integration. Line integration uses an arbitrary observation point, and draws a “straight” line to the squiggly one. Another straight line is drawn for each tiny segment of the squiggly line, which also adds up to describing the curve. This is done without taking a single derivative, which is good because finding the derivative is not always easy. In the case where there’s so many turning points in the emission spectrum received, line integration is really the only way. So the line integral of the structure (a geometric combination of mass and charge enclosed) is the same as the line integral that’s received by that structure, as it is received in a duration of time. We would effectively draw and integrate a line that couldn’t be understood, with an equation that is the lowest derivative possible. Now, how do we find it? As you look through a microscope, or as you traverse along an orbit using a telescope, the gridlines point to the center of the object for reference. What we are really inspecting in this illustration is a small arc of a whole circle rotated about the center. When you observe an x-y graph, what is most typical when learning mathematics, you are looking flat at four quadrants, positive x with positive y, negative x with positive y, negative x with negative y, and positive x with negative y; respectively. Technically, there is 8 quadrants because all of those can either sit into the page as well as out of the page. So there’s 8 blocks in the shape of a cube. Recall the enclosed chemical illustration, the individual slice dips below the axis as you rotate the pyramid about the corner. Half of the slice during rotation falls into the page into the negative z. We don’t have to concern ourselves with that at this point because geometry draws it, so the math does as well. So let’s give ourselves a break and stay in the (+x,+y,+z) quadrant, a special sliver within that quadrant is pictured. As you focus on the center through the microscope with your right eye, the coordinates line up with that center along a distance, d. At the same time, you’re also viewing both sides of the slice. That’s three points of reference in a single snapshot from point A. Your left eye is doing the same thing, lining up with the eyepiece, looking straight down at the center, and also at the same two sides of the slice. This is point B.
or in the most general case, the central black hole of a galaxy. Here, distance isn’t known but the reference tilts at the x and y axis can be estimated. The equation is left in variable form because at different scales, the pieces of information we can be sure about are different. Galaxies are slow moving, while up close smells are given off and travel very quickly. Galaxies matter because they represent a portion of Nature that moves slowly enough to observe structure in the emission spectrum. Electrons bounding around an atom are too jostle to regard; but a galaxy maintains the same pattern over long periods of time. Before we rush to throw out supermassive black holes, consider the predicament. Look at the illustration and reduce the slice to near zero. Look at all of the lines that have to be perfectly described in order to even understand a black hole—each totally unique yet reducing to nearly the same line as they draw closer and closer to the central point. And this drawing is exaggerated to show that the lines are different. In distant black holes, points A and B are so close to each other; parallax angles, for example the slower changes in a distant forest as you drive quickly down the road, described as parallax, were completely abandoned pretty much as soon as people started looking up. Astrophysicists explain a radius just outside the black hole as the point when things start making sense to them. Let’s for a moment gloss over the fact that this pinpoint, at great distance away, is itself thousands of light years thick. It is no surprise that astronomers described the confusion as best as they could, even wrongly; because the alternative is to say that we have no idea what goes on in a black hole. Relax. It’s covered here in the material. we know enough from the illustration to see that there are multiple points of interest along the same line of sight, blocking each other from a solid view. There’s the point on the slice as well as the point behind that on the xy-plane, conveniently staged at 90 degrees to your initial view at point A. This reference plane is there to identify the tilt axes of the slice. The xy plane is for point A only, and doesn’t line up at 90 degrees from point B, which is the next issue to discuss. For now, we can be happy that the diagram is enclosed—meaning there are no lines veering off the page. Every line drawn has two endpoints, and each point is connected to another line, completely enclosed within the page. That’s an important distinction, because it means that the geometry is manageable—meaning that all unknowns CAN be described in terms of the rest. So what are we contemplating? The goal is to describe the slice from two points, A and B. The logical scenario is to ask where they meet, and the answer is along the line of sight for both of them. That’s the point of interest, the target, the object of preposition, and the thing we know the least about. Afterall, that point is moving, and the size of the cut observed inside the pyramid is dependent on how close that point is to your eyes, A or B. As the point gets closer to the eye, the area of the cross-section looks bigger; the pyramid grows. If you cross your eyes, the two images, or edges you have to compare grow further apart. If you look at a star in the distance, very small differences between the eyes need to be observed to get a reading, because the slice is so small. until we can finally describe the line of sight to the object, be it a fungus on a petrie dish, or a star on the outskirts of a distant galaxy. What happens on a line equals what is received along that line. Our perception of what is received is an accumulation of the events along the line leading up to the observation. Engineering is far ahead with the advancements of flying drones and hybrid cars, but flying saucers are right around the corner. Chemistry is far ahead with the advancements of physical chemistry from quantum mechanics, and we know most of the impactful reactions between elements in the periodic table, at least that energy is transferred from before to after; but what happens during the reaction is still a mystery. Biology is far ahead on how to keep a human body healthy, but safe medications still elude us. In my opinion, pretty good is not yet great. The choice is ours to attempt the geometric challenge. Here’s the door. What’s the time it takes to write (the decimal representation of) a number got to do with the nature of the abstract idea of a number. Reading your posts; I am, at times, unsure if English is your first language or if Earth is your first planet. Preview the amazing concept with Justin Sandburg in a 50 page treatise (english).